Composite Materials can be found just about everywhere: in airplanes and sports cars, golf clubs and guitars, boats and baseball bats, bathtubs and circuit boards, and even bridges. Composite Materials make bicycles and skis lighter, kayaks and canoes stronger, houses warmer, and helmets tougher. Requirements 4 and 6 MUST be completed before you attend your merit badge day class. 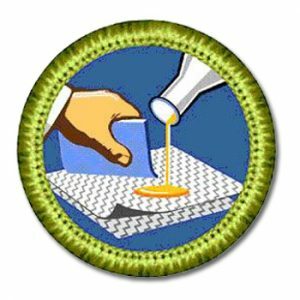 Failure to do so may prevent you from completing your merit badge.